The National Institute for Occupational Safety and Health (NIOSH) has released a new webpage featuring opioid-related resources intended to help workers, employers, and medical providers with issues related to opioids in the workplace. The page includes resources for education and training, as well as research and surveillance data, from NIOSH-funded grantees and other external partners who are working to address the opioid crisis. 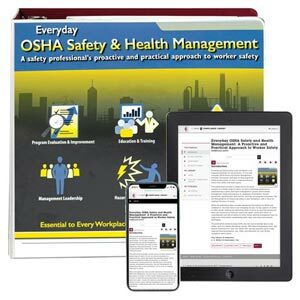 Resources include guidance on evaluating and treating acutely injured workers; information on preventing opioid deaths in construction; and a whitepaper on workplace policy changes to reduce substance abuse impacts on employers and workers. Information and resources specific to healthcare providers also are available.